Ergorapido Allergy 18V Titan Blue is rated 4.6 out of 5 by 39. High performance 2 in 1 cordless vacuum cleaner with 180° EasySteer™ manoeuvrability and BrushRollClean™ that gives you the feeling of clean, everyday. With Ergorapido there is no limit to where you can clean. 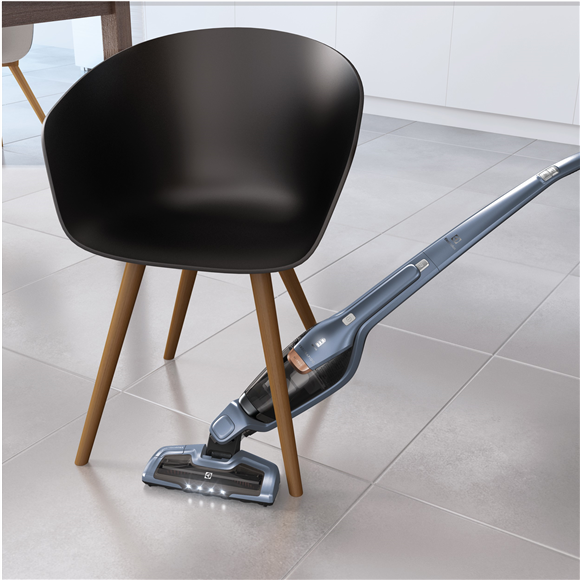 Its flexible 2-in-1 design with a detachable handheld unit lets you clean areas above the floor such as countertops, furniture and hard to reach places. 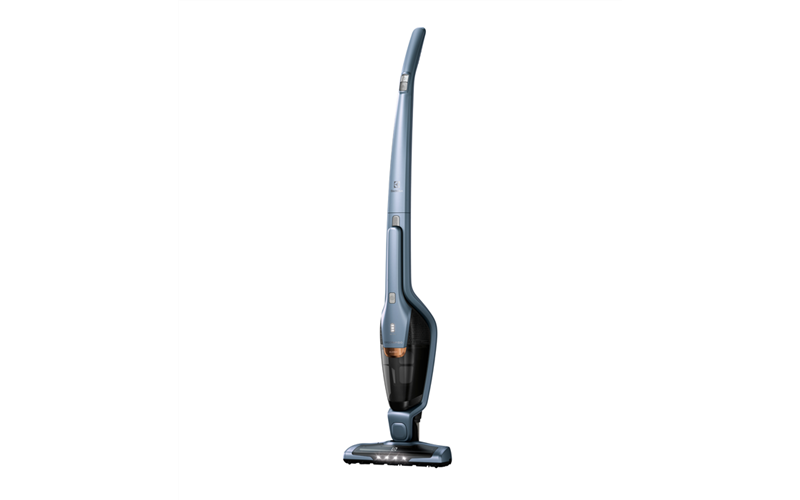 The 180-degree swivel nozzle means smooth turning and manoeuvrability on all floors. 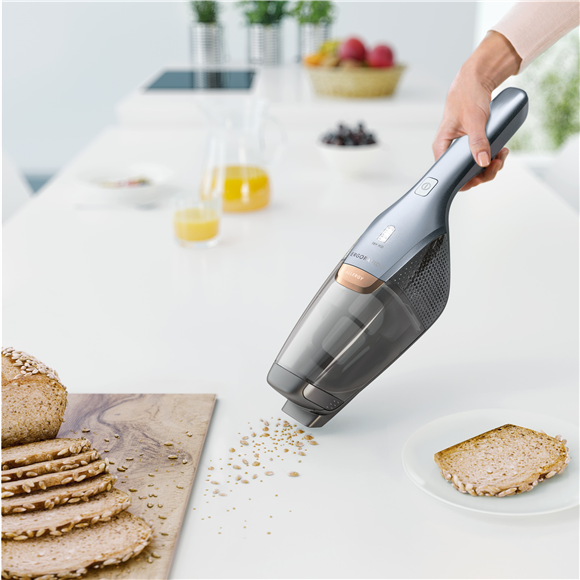 With an ergonomic design and low centre of gravity, this lightweight vacuum cleaner is very easy to use. Captures up to 99.99%* of micro dust to leave your home feeling cleaner than ever and endorsed by the British Allergy Foundation. *Based 1-3 micron particale size. Measured by IBR laboratories on 19/01/2017. 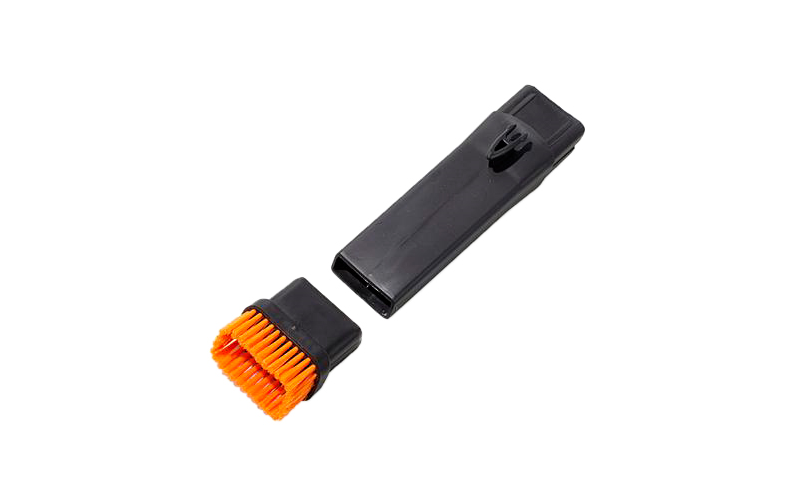 Our unique BrushRollClean™ technology saves you the trouble of having to clean the brush roll with your hands or scissors. 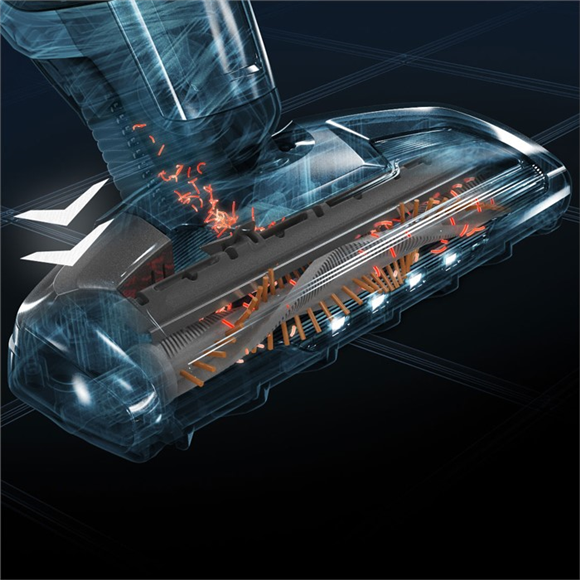 An internal blade removes entwined hairs and fibres before they are vacuumed into the dust cup, all with the push of a button. 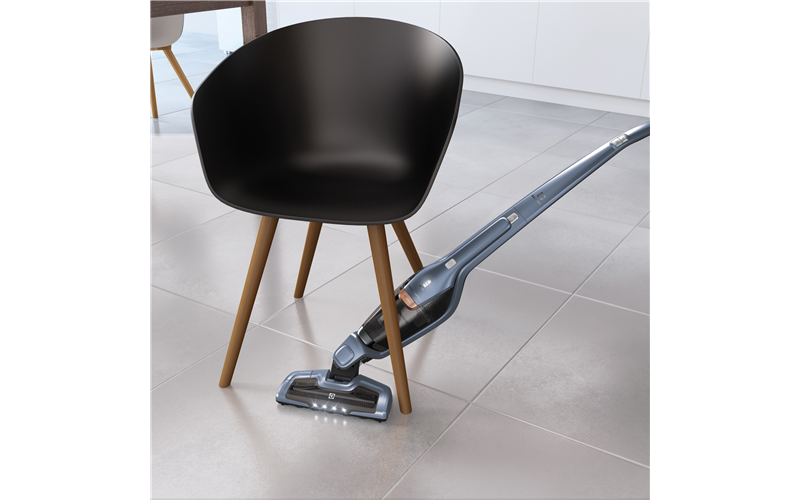 The new generation of Ergorapido features high performance Lithium HD TurboPower battery for optimal cleaning performance and longer run time (up to 48 minutes). 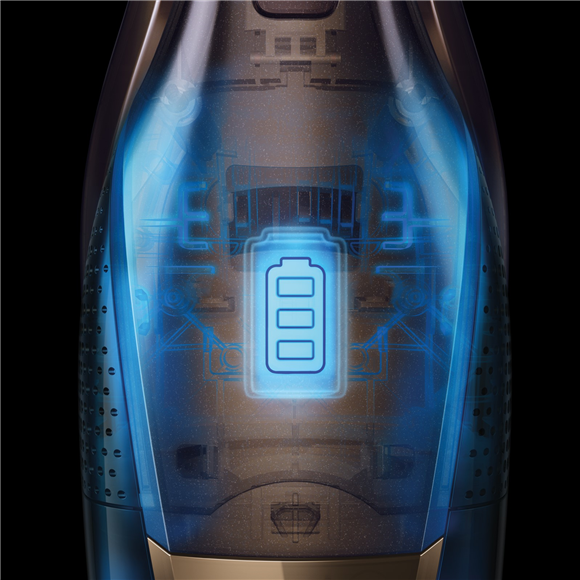 The LED battery indicator shows when its time to recharge. Rated 3 out of 5 by Mozzie from Lightweight and easy to use Bought the Cleaner a few weeks ago and it works beautifully. However, Electrolux should consider building in a feature so that it clicks upright to stand when not in use. When using it and I turn it off to do something it needs a safe place to lean or it will topple over. Still recommend it for price and efficiency. Rated 5 out of 5 by Mo49 from Easy and convenient to use Love the lightness and two power settings. Having the hand held vacuum attachment means I can reach all areas easily. Holds a lot of dust and doesn’t need frequent emptying. Rated 5 out of 5 by RS08 from Excellent product! I did a lot of research before I bought this stick vacuum cleaner. 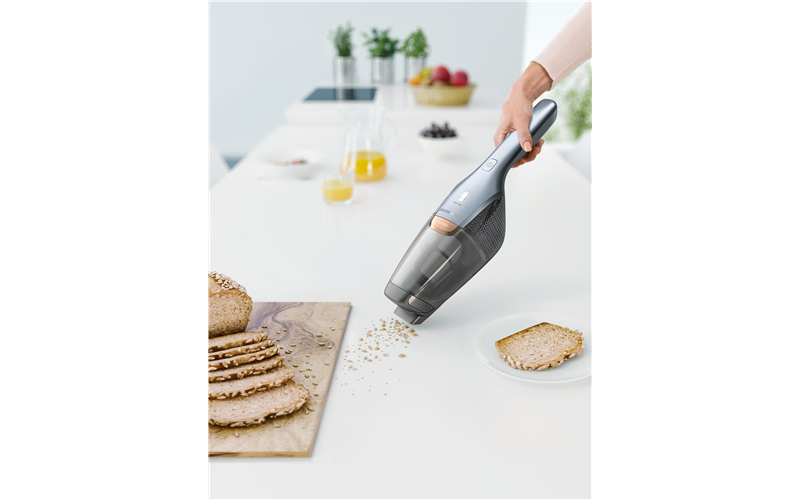 It has a detachable hand held vacuum which is very handy while cleaning crevices. 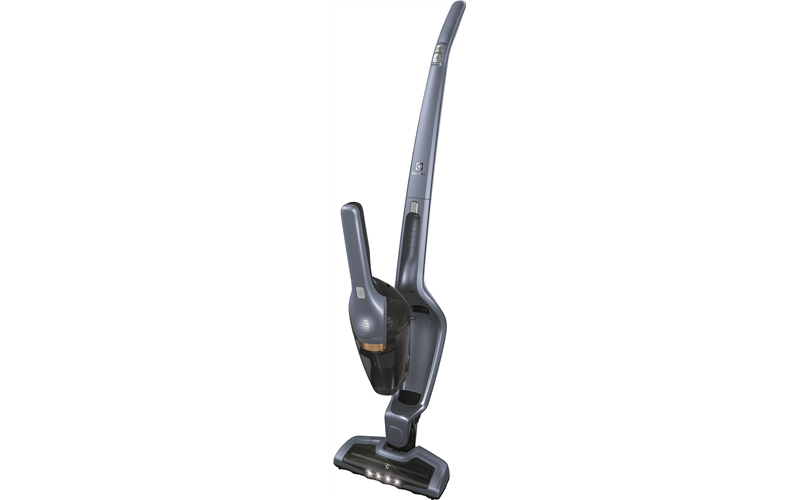 The stick vacuum has good suction, is lighter than most other models (only 2.5kg) and it has a swivel head. The best part is, there are LED lights on the head and so it’s easy to see the area being cleaned, especially at night. I have used it daily since I bought it. It is fantastic! I love the dual functionality. Rated 5 out of 5 by Myat from Powerful device I am a happy customer. Hair cutter is a really useful feature. Keep it up! Rated 5 out of 5 by Megan1 from brilliant space saver I decided to purchase the Electrolux ergorapido as I was tired of lugging my large vacuum up and down the stairs and finding somewhere to store it as I live In a small townhouse. The allergy stick vacuum is not only really amazing at picking up so much from the carpets but it is actually very quiet in comparison to my old weirtheim and fits so nicely beside my washing machine and doesn't take up much space at all! over all I am extremely impressed by this little vacuum. Rated 4 out of 5 by Nunda from Glides on any surface with great suction I'm happy with the features. The head of the vacuum glides and can get into corners. Adjustables speeds and great suction. Essy to clean and use. I love it. Rated 5 out of 5 by Marylyn from So easy to use I bought this about a month ago and I love it. 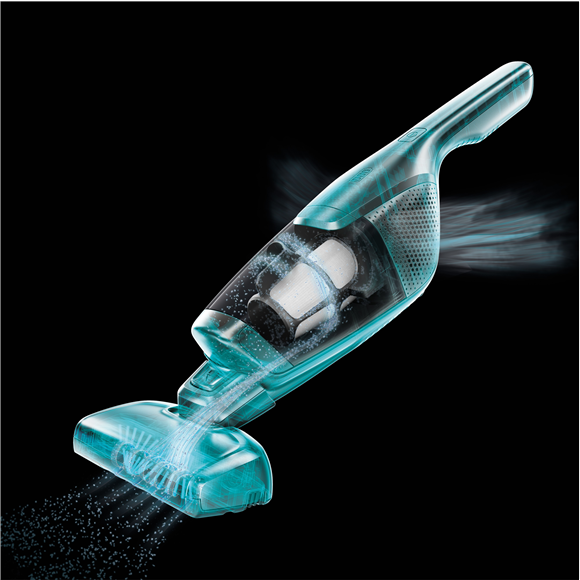 I've used many vacuum cleaners over my long life and this is by far the best. No cords. No hose. Just a light, easy to manoeuver machine that is very effective. I enjoy using the small hand held piece for a range of tasks. And it's so compact to store. Just love it!